Description: , 1963. Ephemera. 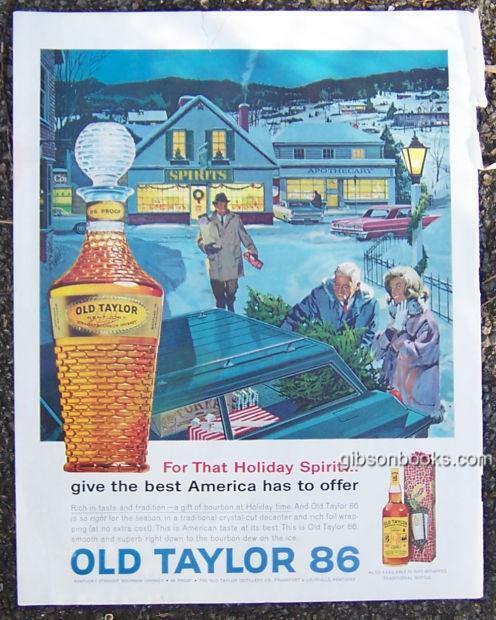 Very Good; 1963 Old Taylor 86 Saturday Evening Post Magazine Advertisement. For That Holiday Spirit give the best America has to offer. Ad is 13 1/2" high and 10 1/2" across. Very Good condition, slight wear at edges. Suitable for framing.